I love including sensory play into our homeschool everytime that I can. 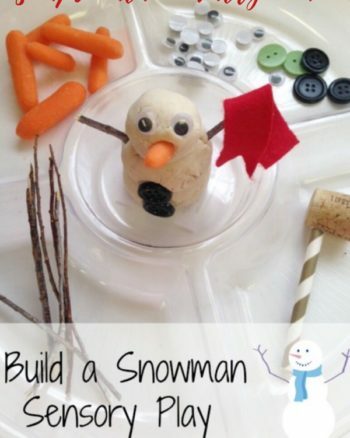 It creates a fun seasonal environment that is ripe for learning and enjoying. Fall is my favorite season, with inviting scents, colors, and textures it is just warm and cozy! 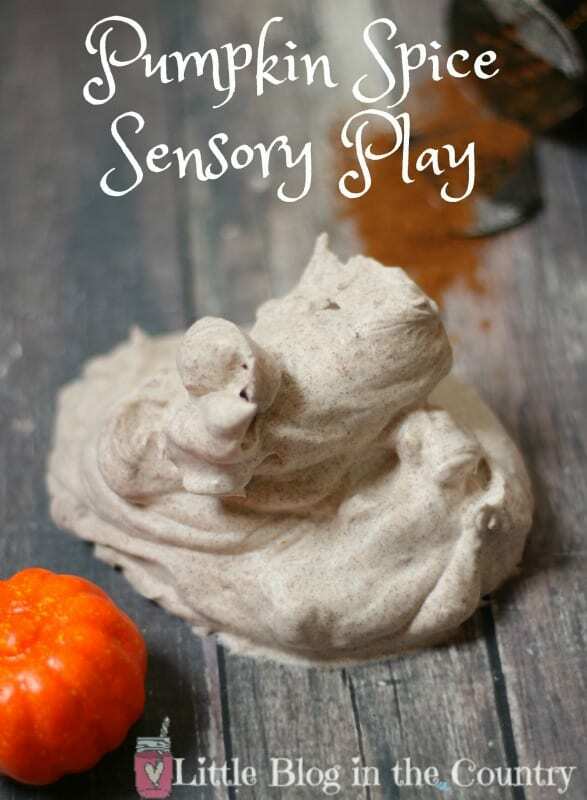 I borrowed one of those scents to create this super simple Pumpkin Spice Sensory Play activity. 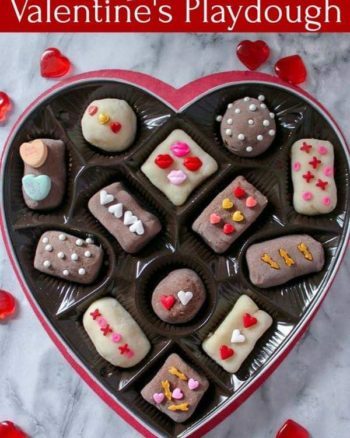 Get the kids excited about learning when you break this out on a school day and put away the worksheets, there are so many ways you can make it a learning experience. 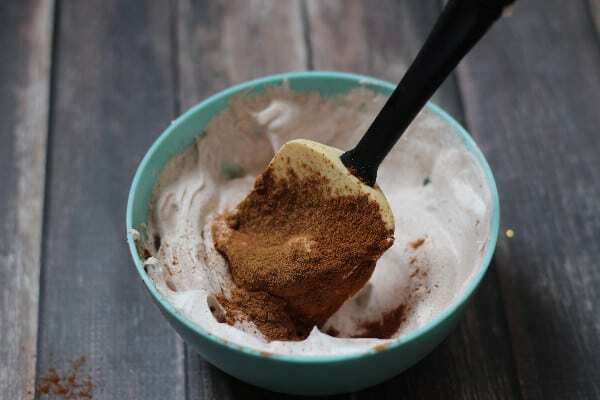 Combine shaving cream, vanilla extract, and pumpkin pie spice to desired scent strength in a large bowl, stirring to mix well. 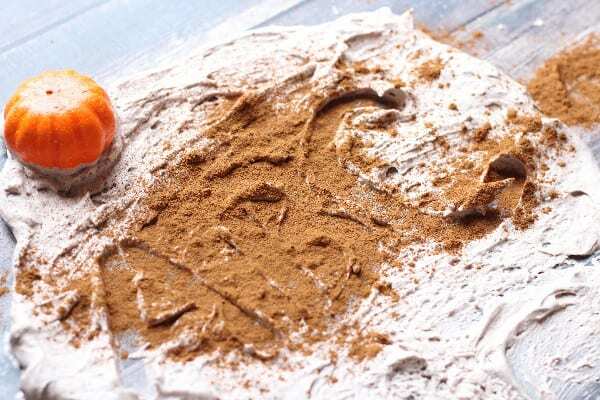 You may need to refresh and add more shaving cream and pumpkin pie spice as your child plays, it tends to “evaporate” after a bit of play. 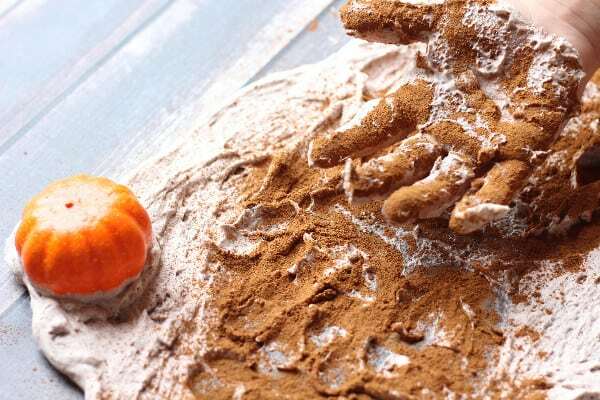 Introduce this deliciously scented sensory experience to your child by offering spoons,spatulas, mini pumpkins to “stamp” in it, letter and number magnets, and other items to encourage their play and exploration. 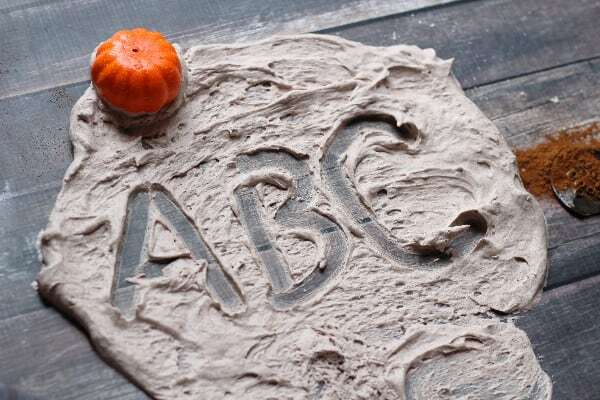 Encourage your child to practice their letters and numbers, sight or spelling words by drawing them with their fingers, using a craft stick, or stamping with letter magnets. I offered a bottle of cinnamon I picked up at the Dollar Tree and let Mini go wild adding more as she played. 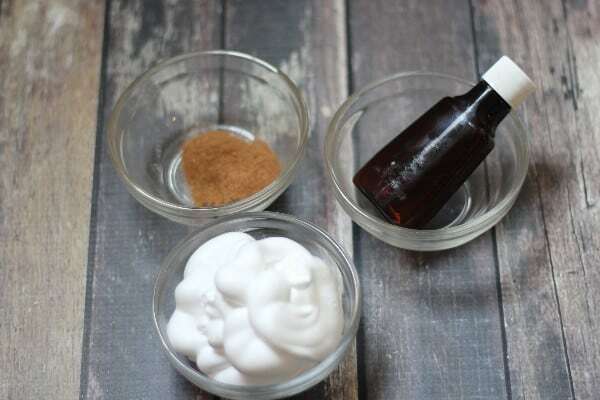 Touching the scented shaving cream, spreading it with fingers, and writing in it is not only fun it has educational benefits that often sink in better than putting it to pencil and paper.